Back in 1975 when the founder of Bangladesh, Sheikh Mujib-ur-Rahman, was assassinated in cold blood on August 15 at his residence in Dhaka, there were fingers raised legitimately at the Indian spy agency, the Research and Analysis Wing (RAW), for failing to anticipate such a conspiracy to wipe out a friend of India who was the fledgling country’s first prime minister. Fast forward to today when the recently defeated Sri Lankan president Mahinda Rajapaksa told a leading Indian newspaper that it was the Indian spy agency that conspired with “Western agencies” CIA and MI-6 to rally the opposition led by Maithripala Sirisena against his presidency. 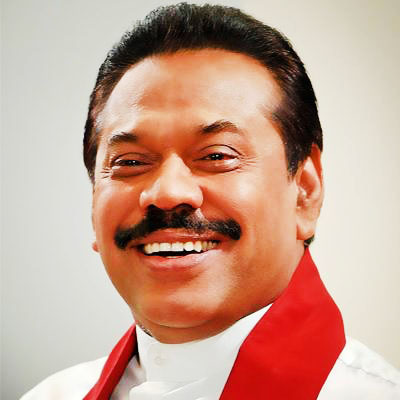 In effect, Rajapaksa has blamed RAW for his defeat. While Rajapaksa has absolved the Modi government of blame, he said it was a long-term plan. “They misunderstood me over the Chinese question. And that is why they planned this,” he said. The RAW has come a long way from the seventies. Pakistan’s ISI used to virtually hold sway in fuelling subversion in the region, fanning insurgency, especially in India. Now, the Pakistanis claim that India is engaged in encouraging opposition to the establishment in Islamabad via the northwest frontier province where an insurgency is in full blow. In Nepal, RAW has a substantial network and plays a hand in national politics to defend Indian interests. In Bangladesh, it is clandestinely engaged in providing protection to Sheikh Hasina against onslaughts by Begum Khaleda Zia who is inimical towards India though this is being done in a subtle manner. The first signs of Indian assertiveness were visible when in 1988 India airlifted troops to the Maldives on a request to then PM Rajiv Gandhi from then Maldivian president Abdul Gayoom to quell a coup attempt. The 1,600 paratroopers and commandos crushed the coup bid in a few hours.There has been no looking back in recent times. This new recognition of its power is as it should be, in line with India’s status as a regional power. Every country needs to protect its strategic interests and India cannot be naive about the Chinese and Pakistani overdrive over the years to nibble at her interests. That PM Narendra Modi has just completed a visit to Mauritius, Seychelles and is now in Sri Lanka is testimony to the importance he attaches to nurturing strategic ties with neighbours to counter Chinese designs in the region. In the past, India had suffered in Bangladesh and Nepal when regimes friendly to it had been replaced. This time around, however, India does not want to go wrong. Though cultivating a friendlier Sirisena regime is his first priority in Sri Lanka, Modi has thought it fit to take the initiative to schedule a meeting with Rajapaksa too. The PM’s visit to Sri Lanka comes at a time of speculation over when parliamentary elections would be held by Sirisena. Under Sri Lanka’s system, while the presidential poll is a direct contest between individuals, the PM is elected through MPs. This could lead to the eventuality of Rajapaksa, who still belongs to President Sirisena’s party, the SLFP, returning to government if he were to win enough support from MPs. It is no wonder that the wily Rajapaksa who thought nothing of virtually blackmailing India while flirting with the Chinese is fighting shy of blaming the Modi government for using RAW to destabilise him. Claiming that RAW conspired with “Western agencies” to rally the opposition against his presidency, Rajapaksa said he does not believe Modi or the government was responsible. In the circumstances, it is prudent for India not to write off Rajapaksa. The mistake it made in virtually writing off Zia in Bangladesh after she lost to Hasina need hardly be repeated.